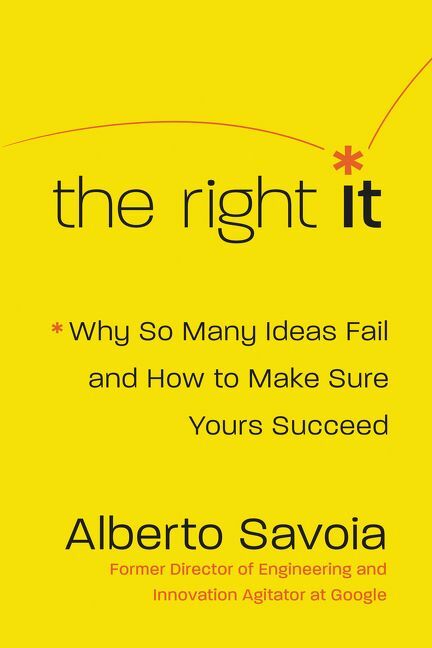 Using his experience at Google, his remarkable success as an entrepreneur and consultant, and insights from his lectures at Stanford University and Google, Alberto Savoia’s The Right It offers an unparalleled approach to beating the beast that is market failure. Millions of people around the world are working hard to bring to life new ideas. Some of these ideas will turn out to be stunning successes that will have a major impact on our world and our culture: The next Google, the next Polio vaccine, the next Harry Potter, the next Red Cross, the next Ford Mustang. Others will be smaller, more personal but no less meaningful, successes: A little restaurant that becomes a neighborhood favorite, a biography that does not make the best-seller list but tells an important story, a local nonprofit to care for abandoned pets. At this very same moment, another group of people is working equally hard to develop new ideas that, when launched, will fail. Some of them will fail spectacularly and publicly: like New Coke, the movie “John Carter”, or the Ford Edsel. Others will be smaller, more private, but no less painful failures: A home-based business that never takes off, a children’s book that neither publishers nor children have any interest in, a charity for a cause that too few people care enough about. If you are currently working to develop a new idea, whether on your own or as part of a team, which group are you in? Most people believe that they either are, or will be, in the first group—the group whose ideas will be successful. All they have to do is work hard and execute well. Unfortunately, we know that this cannot be the case. The law of market failure tells us that up to 90 percent of most new products, services, businesses, and initiatives will fail soon after they are launched—regardless of how promising they sound, how much we commit to them, or how well we execute them. This is a hard fact to accept. We believe that other people fail because they don’t know what they are doing. Somehow, we believe that this does not apply to us and to our idea—especially if we’ve experienced victories in the past. Filled with detailed case studies, a lesson on creating your own hard data, a strategy for market engagement, and an introduction to the concept of a pretotype (not a prototype), The Right It is a groundbreaking, entertaining, and highly practical book delivers a proven formula for turning ideas, products, services, and businesses into successful endeavors. As Alberto writes, “make sure you are building The Right It before you build It right”. 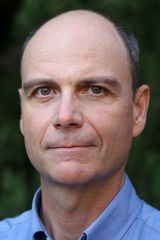 ALBERTO SAVOIA is currently teaching and collaborating with Stanford University and continues to work with Google to create and lead courses and workshops. Prior to his tenure at Google, Alberto was Director of Software Research at Sun Microsystem where he played a key role in the development of Java technology and tools, and co-founder of two very innovative and influential startups in the area of software development & testing tools. One of the constants in Alberto's career has been his drive and passion for fostering and creating innovation in all of his endeavors. For this, he has won significant industry recognition and awards, including: The 2005 Wall Street Journal Technical Innovator Award, InfoWorld Top 25 CTOs Award, AlwaysOn Top Innovators Award (2004, 2005, 2006) and InfoWorld's Technology of the Year Award (2005, 2006). Are you a Alberto Savoia fan? Sign up now for Alberto Savoia alerts, including news and special offers. Thank you for signing up to receive news about Alberto Savoia.